Buy one oil change, get one free! Get BOGO car maintenance to keep your car in the best shape possible! First oil change purchase at retail price. Redeem 2nd oil change within 1 year of first purchase. 2nd oil change must be of equal or lesser value. Some models may be excluded. Present upon arrival. One per customer. No cash value. See dealer for details. Coupon not valid with any other offer. Coupon does not apply to prior purchases. Buy 3 tires, get the 4th for just $1! Get the Lowest Tire Prices – Guaranteed! We use only Genuine Toyota Parts AND charge less than our competition! We Have Batteries for Less! 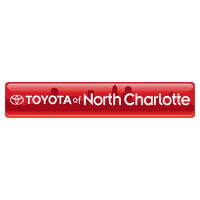 Includes Installation, 60 Month Warranty, and 18 Month Free Replacement Genuine Toyota Parts!